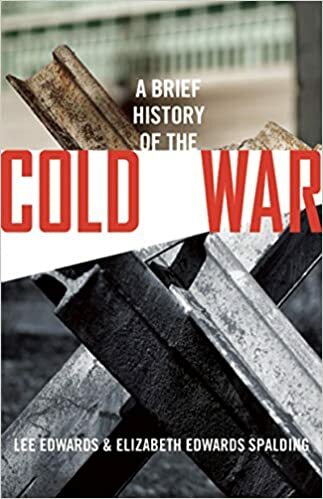 The following article on the Year of Miracles is an excerpt from Lee Edwards and Elizabeth Edwards Spalding’s book A Brief History of the Cold War It is available to order now at Amazon and Barnes & Noble. In February 1989, Václav Havel was jailed in Prague for participating in human rights protests, but the protests continued. After months of strikes, roundtable talks began in Poland between leaders of the still-outlawed Solidarity union and the communist government. The Polish government had insisted that Solidarity was a “spent force,” but as the Polish economy worsened, it was forced to “reckon with ideas they could not squelch and men they could not subdue.” In March, seventy-five thousand people demonstrated in Budapest on the anniversary of the 1848 revolution, demanding the withdrawal of Soviet troops and free elections. What would follow was a domino-like collapse of socialism throughout Eastern Europe and, eventually, Russia itself. The pivotal year of 1989 was later dubbed the Year of Miracles. In April, Solidarity and the Polish government agreed to the first open elections since World War II. In May, the Hungarian government started to dismantle the Iron Curtain along its border with Austria, allowing East Germans to cross over into West Germany. Thousands did. In October hundreds of thousands of people began demonstrating every Monday evening in East Germany, leading to the forced resignation of Communist Party boss Erich Honecker, who had boasted in January that the Berlin Wall would stand for another hundred years. On November 9, 1989, a tidal wave of East Germans poured across the West Berlin border when travel restrictions were lifted, and the Berlin Wall came tumbling down. The year of counterrevolutions ended with the overthrow and execution of the despot Nicolae Ceausescu in Romania and the election of Václav Havel as the president of Czechoslovakia’s first non-communist government since the 1948 coup engineered by Moscow. The waves of liberty, however, did not reach the shores of China. In the spring of 1989, pro-democracy Chinese students, inspired in part by the events in Eastern Europe, were demonstrating by the many thousands in Tiananmen Square in the heart of Beijing. For a short while, it seemed to Western observers as if the leaders of Communist China might follow Gorbachev’s example and allow meaningful political as well as economic liberalization. They underestimated the willingness of Deng Xiaoping and other communist leaders to use maximum force to eliminate any threat to their political control. On June 4, 1989, just two weeks after Gorbachev had visited China for a “socialist summit” with Deng, Chinese troops and tanks ruthlessly crushed the protests in Tiananmen Square, killing hundreds and perhaps thousands of defenseless students. As China’s “paramount” leader, Deng had taken the measure of Mao and announced that he was right 70 percent of the time and wrong 30 percent of the time. The Cultural Revolution and the Great Leap Forward were among the mistakes, but among the things Mao had done right were making China once again a great power, maintaining the political monopoly of the Communist Party, and opening relations with the United States as a counterweight to the Soviet Union. The most important of these was the unchallenged political authority of the Party. Deng’s most significant action, beginning in 1979, was to leaven China’s command economy with free-market reforms, transforming the country into a global economic power in less than two decades. The Year of Miracles: The Sinatra Doctrine? In October, the spokesman for the Soviet foreign ministry was asked what remained of the Brezhnev Doctrine. He responded wryly: “You know the Frank Sinatra song ‘My Way’? Hungary and Poland are doing it their way. We now have the Sinatra Doctrine.” The collapse of communism from Berlin to Bucharest ended Gorbachev’s hope of a reformed but still socialist region led by Moscow. It also ignited a nationalist fervor within the numerous non-Russian peoples of the Soviet Union that had long been suppressed. This article on the Year of Miracles is an excerpt from Lee Edwards and Elizabeth Edwards Spalding’s book A Brief History of the Cold War. It is available to order now at Amazon and Barnes & Noble.